If you are looking for information on the Screenmobile franchise business opportunity, Screen Mobile franchises or Screenmobile franchising, then you have come to the right place. America's neighborhood screen store, Screenmobile offers quality screen products with the convenience of a mobile store. Backed by quality product alliances, Screenmobile is a convenient choice for today's busy homeowners. Screenmobile was established in 1982, and today is headquartered in the Southern California area near Palm Springs. A national franchise with nearly 100 locations and growing, Screenmobile is positioned to be a dominate force in the home improvement industry. Entrepreneur Magazine rated Screenmobile one of the top 101 home based franchisees. Entrepreneur Magazine rated Screenmobile one of the top 500 franchisees in the United States. Screenmobile falls within the service sector of the home improvement industry. The home improvement industry is a multi billion dollar per year economic powerhouse. Historically stable and consistent the home improvement industry has unsurpassed potential, not subject to other rise and fall economic trends. 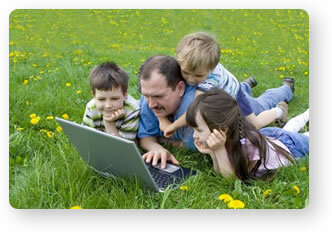 Screenmobile Franchisees are a group of motivated, well trained and forward moving individuals and companies. Screenmobile Corporation qualifies potential franchisees to determine if applicants can become a Screenmobile Franchisee. Operationally based, Screenmobile Corporation is a hands on franchisor. Unlike many larger franchisors, Screenmobile seeks quality over quantity. We are committed to providing the highest value of quality products through fair and honest service. It is our legacy to be the best mobile screening company, dedicated to professionalism, integrity and customer satisfaction. Through our efforts towards excellence, we strive to raise the standards of the entire screening industry. The Screenmobile Franchise Corporation is dedicated to establishing responsible, lasting partnerships with its franchisees. We pledge organizational support through progressive leadership, continual training and company growth.